A neo-noir with a sturdy cast of veterans, Twilight is only partially successful. The stars shine bright, but the plot and execution are unable to weave the necessary spell. Harry Ross (Paul Newman) is an ex-cop, an ex-private investigator, and an ex-drunk. He helps his friend Jack Ames (Gene Hackman), a former Hollywood star now suffering from cancer, by retrieving Jack's runaway daughter Mel (Reese Witherspoon) from Mexico where she is on the loose with lover Jeff (Liev Schreiber). The unfortunate chapter results in Harry being accidentally shot perilously close to his private parts. Jack and his wife Catherine (Susan Sarandon), another once-glamorous movie star, allow Harry to live on their property in return for miscellaneous favours. For his next task, Jack asks Harry to deliver an envelope to a woman called Gloria Lamar (Margo Martindale). The transaction smacks of a blackmail plot, and Harry's suspicions are confirmed when he stumbles upon a fatally bloodied but still shooting private detective Lester Ivar (M. Emmet Walsh) at Gloria's apartment. Police Lieutenant Verna Hollander (Stockard Channing) starts breathing down Harry's neck, but he gets help from former cop Raymond Hope (James Garner), another of Jack's fix-it men. Harry's sleuthing uncovers a 20 year old Hollywood mystery involving the disappearance of Cartherine's first husband, and the more he delves into the the past, the more people die in the present. Directed by Robert Benton from a script he co-wrote with Richard Russo, Twilight assembles some of Hollywood's finest aging talent. 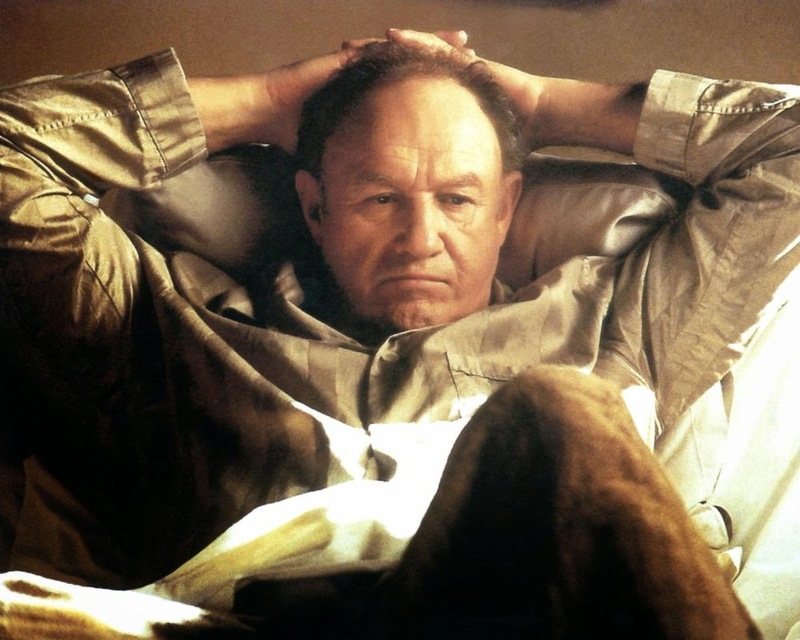 A movie with Newman, Sarandon, Hackman and Garner is bound to be eminently watchable, and all four deploy their weight to create and sustain a platform of quality that pushes Twilight towards respectability. Newman is never less than compelling, acknowledging his age as he creaks his way through modern dangers to uncover the ghosts of the past. Hackman, Sarandon and Garner do the best that they can with the rather thin material afforded to their characters. While the attempt to recreate the grim tones and dark aura of noir films from decades ago is laudable, the story lacks the strength to properly engage. There are fundamental missing elements that leave the experience adding up to less than the sum of its parts. The central missteps include a rather unconvincing and bland blackmail plot, and the poorly developed characters of Jack and Catherine Ames. They are supposed to be at the core of the mystery, their passion and influence from 20 years ago triggering evil that still surrounds their lives. But as written, Jack and Catherine are more amiable than conniving, with Sarandon particularly victimized by a script that utterly fails to bring out any genuine sparkle of maliciousness or deadly seductive talents. The stylistic shadings are superficial at best, and mostly consist of plenty of smoking and drinking, but little else to evoke the noir aesthetic. Other weaknesses include the lack of any authoritarian threat from Verna, her closeness to Harry undermining the menace that detectives are supposed to represent to the likes of Harry and Jack. The riffraff characters get in the way without contributing much, Gloria, Jeff and ridiculous wannabe sidekick Reuben (Giancarlo Esposito) come and go without much impact. More work should have been given to Reese Witherspoon as Mel, a potential underage sexpot who could have driven the plot towards The Big Sleep territory. Also underused is M. Emmet Walsh as Lester Ivar. His one scene is the absolute highlight, and Lester is exactly the dishevelled and dangerous type of character who lives and dies to enliven noir films. Here he just gets to die, helping Twilight to register as a good idea that doesn't quite work out.